What 'The Heavens'? Sandra Newman's New Book Feels Like 5 Novels In One Sandra Newman tells the story of a woman whose recurring dream feels increasingly real. The Heavens is historical fiction, time traveling fantasy, political allegory, social realism and a love story. 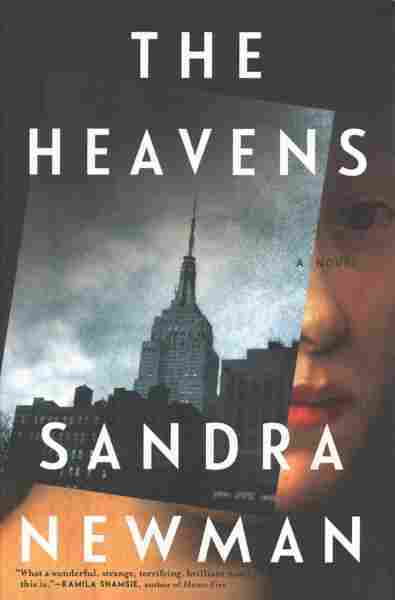 Sandra Newman freely admits that her new novel, The Heavens, is almost impossible to describe. "I found that you can give about five different descriptions of it," she says, and all of them will be "equally true." She's essentially written five novels in one. Newman's never been one to shy away from complexity. She created an entirely new language for her 2015 novel, The Country of Ice Cream Star. A literary agent tried — unsuccessfully — to persuade her to write in plain English, and, in retrospect, "he was absolutely right," Newman says with a touch of irony. The book might have sold more copies, she says, "but it wouldn't have been a particularly special book." Special books are Sandra Newman's specialty, and The Heavens is no exception. It starts out simply enough: A young woman named Kate meets a young man named Ben at a party in New York and soon they are a couple. Before long, Kate tells Ben that she has a recurring dream. In it, she is a woman named Emilia who lives in Elizabethan England and is having an affair with a married nobleman. She becomes involved with another man named Will — as in, William Shakespeare. Each time Kate wakes up from the dream, the real world has changed in ways both large and small. "When she wakes up there will be a different president, [or] her room will look different," Newman explains. "She will have done things that she had no memory of, but other people want to hold her responsible for. So it becomes an increasingly chaotic and frightening world that she wakes up in as herself." At first, Kate thought of her dream as a special mission that could save the world — but she becomes convinced that the dream is causing the world to change. Her personal life keeps shifting — a constant stream of family and friends surrounds her, but each time she emerges from the dream her relation to them changes. So does the political reality: When the book begins in 2000, the U.S. is lead by President Chen — a woman and an environmentalist. Later, Kate wakes up and George Bush is the president and the Sept. 11 attacks are underway. Newman sees these disorienting shifts as a metaphor for the Trump era. "The world is changing beyond recognition, and things happen that seemed inconceivable just a few years ago," Newman says. "We don't understand how we got to this place. We're looking at history and trying to find all of the strands — all of the causes of this strange effect that we see all around us." Then the story takes another turn as Ben starts to believe that the woman he loves is completely losing her grip on reality. The evidence mounts and it becomes clear that Kate is experiencing mental illness. This part of the story comes from Ben's point of view, as he struggles to help Kate. Newman says she wanted to write about what it's like to love somebody who has a serious mental illness: "How it kind of eclipses your own life and your own concerns," she says. "There's this terrible tug of war between your loyalty to your own life, and your own dreams, and your loyalty to them and their safety." In case you're counting, we're up to four novels now: historical fiction, time traveling fantasy, political allegory and social realism. But Newman said you could come up with five ways to describe her novel ... so what's left? "I can't write a book without some kind of love story in it," Newman says. The Heavens is all of the above. And if you decide to delve into it, Newman will take you on quite a ride through her vivid imagination.